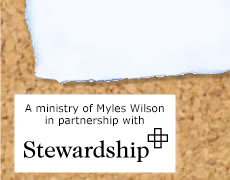 Myles Wilson is passionate about helping connect givers and receivers in God’s family. As a young boy, he grew up in a family of compulsive givers. His parents had a very modest lifestyle, but still committed everything they had to God. The result was a lifestyle of blessing others – supporting families in need, missionaries in far-off lands and people involved in Christian work. When in 1974, with is wife, they chose to join Agape, known then as Campus Crusade for Christ, he found himself in a foreign environment - one where he was the recipient, not the giver. Finding this emotionally difficult, he embarked on a quest to discover what the Bible had to about giving and receiving. The revelations he received helped him to see support raising in a whole new light. 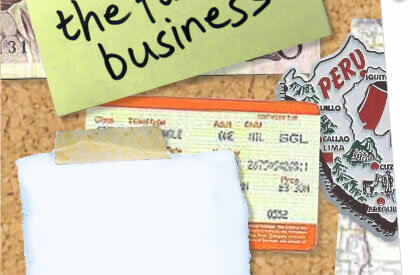 It wasn't just about getting the money they needed to do what God was calling them to do. It was about God’s children working together, each dependent on the others, to see Gods’ plan fulfilled in the lives not only of the givers and receivers, but in the lives of those who were still outside the family. Myles and Phyllis went on to work with Agape for 17 years, both in Ireland and at Agape European office in Germany, eventually leaving in 1991. 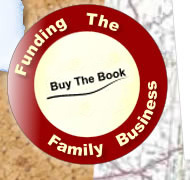 Today, Funding the Family Business is the ministry that now sees them working with a wide range of mission agencies and Christian organisations, with a special emphasis on training people in raising personal support. They are members of King's Fellowship Church in Bangor, Northern Ireland.